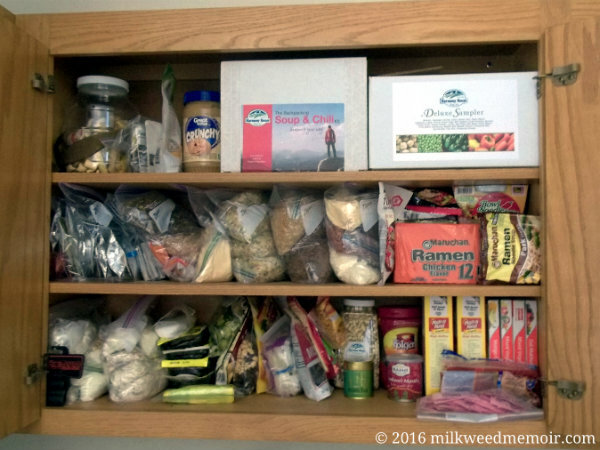 Plenty of instant and dry goods – just add water! I'm ready for weeks of travel OR to relieve Bundy's Boys in Burns, Oregon. No French vanilla creamer, though.